A weekend of concerts, displaying the talents of several young chamber ensembles as they embark on their professional careers, plus Masterclasses and a Young Persons’ Concert. There will be a Young Persons’ Concert on Wednesday 5th July 2.30pm-4pm at An Cridhe for youngsters of all ages. This event is FREE OF CHARGE. We invite you to three days of wonderful concerts at An Cridhe. After a week of intensive coaching and rehearsing, involving some of the world’s most outstanding young musicians, An Cridhe comes to life with the sound of classical music for the 5th year in a row. For our most enthusiastic supporters we can also offer a limited number of places to listen to Masterclasses at An Cridhe from Monday 3rd July to Thursday 6th July. Tickets will be available from the door, but if you would prefer to book in advance see the website and go to Music Coll section or phone An Cridhe. Concert tickets are £12 each for adults and a £30 weekend ticket for all 3 days. Children under 16 come for £5 for the full weekend! The John Tunnell Trust was formed in 1988 by family members, colleagues and friends of the late John Tunnell, OBE, the founder leader of the Scottish Chamber Orchestra. The Trust has assisted young professional chamber music ensembles and Scottish Music Clubs by running its Music Club Awards Scheme whereby the Trust pays the fees of outstanding young groups to play at Music Clubs all over Scotland with an emphasis on helping Clubs in small and remote places as well as in the major centres. By the end of the next season the Tunnell Trust will have assisted 96 groups and sponsored in 568 concerts in 80 different music club venues. Young groups are selected annually at auditions held in London. In 1993 Wendy, John’s widow, set up the Young Musicians’ Trust wishing to do even more to promote young musicians. She ran the Trust almost single handedly until her untimely death in 1998. The Young Musicians’ Trust promoted its own series of concerts in country houses, schools and other venues and staged an annual study and performance week at Strathgarry in Perthshire, Scotland whilst winning extraordinary support from many high profile sponsors. More recently the course moved to Blair Atholl and in 2013 it found a new home on the stunning Isle of Coll in the Inner Hebrides. Music Coll 2016 took place from 4th to 10th July. The two Trusts have enjoyed outstanding success. We have been able to provide much needed performing opportunities for Young Musicians at the outset of their careers and vital support for local arts and educational organisations, often situated within isolated communities. 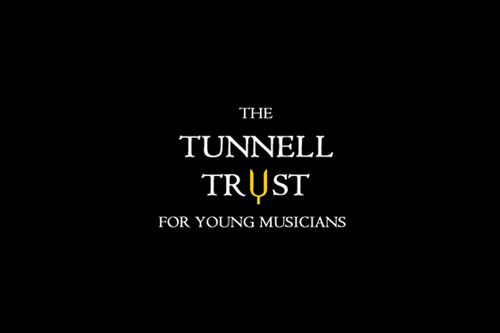 By combining the resources of the two former Trusts it has been possible to extend the work of the Tunnell Trust to become an even more important force in the musical life of this country. The Trust is under the Artistic Directorship of John and Wendy’s eldest son, Jonathan, a professional cellist.